Okay, so I know I talked about watches a few days ago (I ordered the tortoise one, and I can't wait to get it! ), but I just stumbled upon this rose gold watch today for $23. HELLO!? Don't mind if I do. 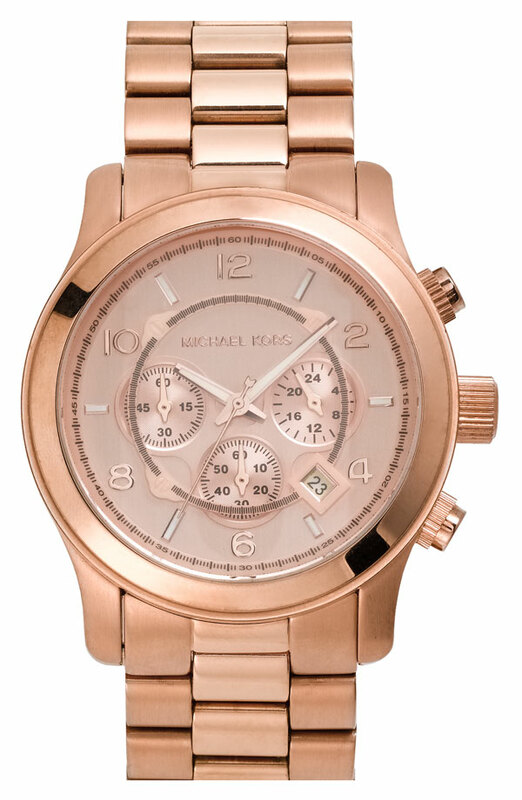 I've been lusting after this Michael Kors watch since... forever and they're practically identical.